Janusz Korczak (Henryk Goldszmit 1879-1942) was a pediatrician, educator, and writer who dedicated his life to orphaned children in Poland. An assimilated Polish Jew, he practiced universal humanism. Dr. Korczak is credited in Europe with the introduction of progressive orphanages designed as democratic republics; he founded the first national children’s newspaper, trained teachers in what we now call moral education, and worked in juvenile courts defending children’s rights. He was a strong advocate of the need for a Declaration of Children’s rights long before such documents were drawn up by the Geneva Convention (1924), the United Nations General Assembly (1959), and the Convention of the Rights of the Child (1989). His books, How to Love a Child and The Child’s Right for Respect gave parents and teachers new insights into child psychology. His classics, King Matt the First and King Matt on the Deserted Island, enchanted children around the world. He stepped into legend when he refused offers to save his life. Together with 198 Jewish orphans under his care, Stephania Wilczynska, his assistant of 30 years, and 9 staff people, they entered cattle cars in the Warsaw Ghetto on August 5th, 1942, and left for the Treblinka death camp never to be heard from again.The Israelis revere Janusz Korczak as one of the Thirty-six Just Men whose pure souls, according to the ancient Jewish tradition, make the world’s salvation possible, and UNESCO declared 1978-79 the Year of Korczak to coincide with the Year of the Child and the centenary of his birth. 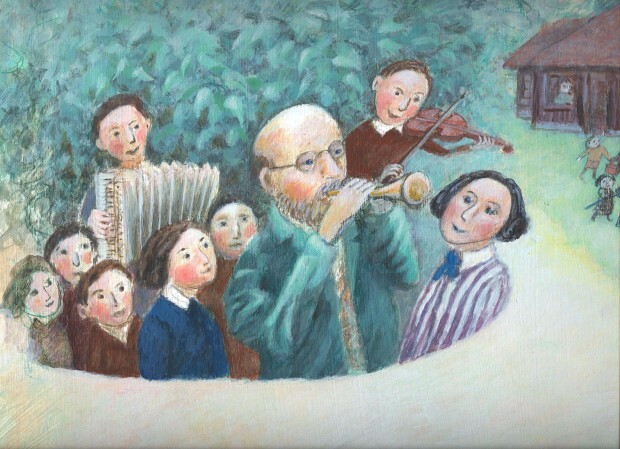 Click here to read an introduction by DR. JOOP BERDING about Janusz Korczak’s pedagogical ideas.